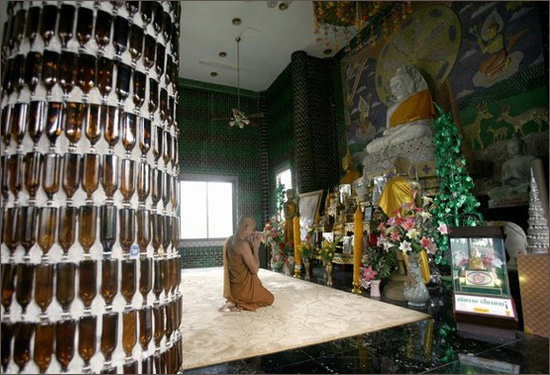 This Buddhist temple in the Sisaket province of Thailand, and several other buildings on the same site, have been built by the resident Buddhist monks, out of over a million recycled beer bottles donated by the local people and authorities. 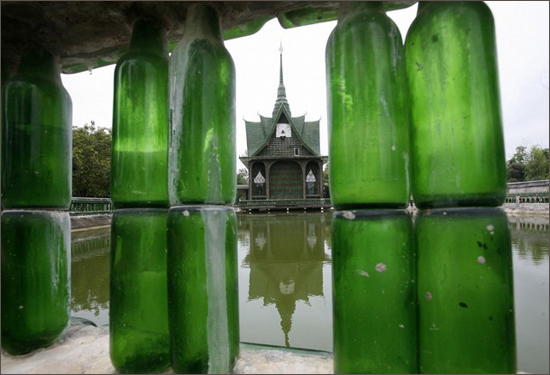 Green Heineken and brown Chang beer -a Thai lager- bottles are used to make the walls and roof. The caps were used to create amazing mosaics. This is what we call eco-friendliness supreme!